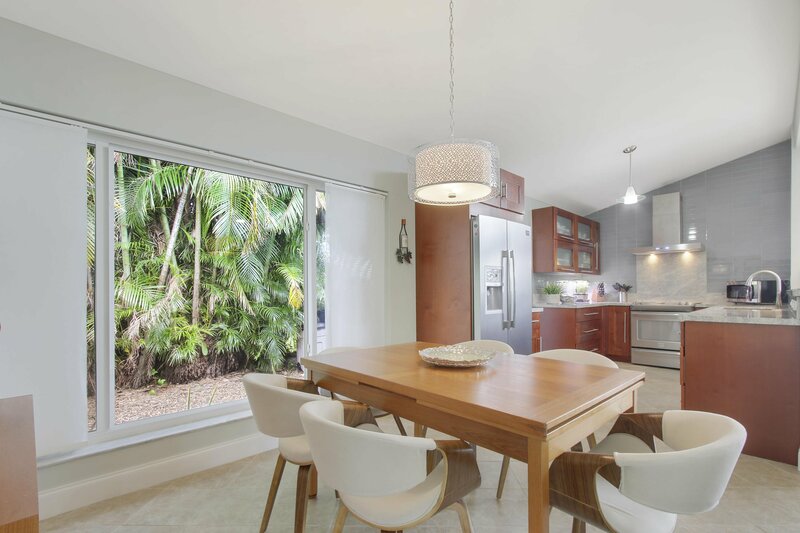 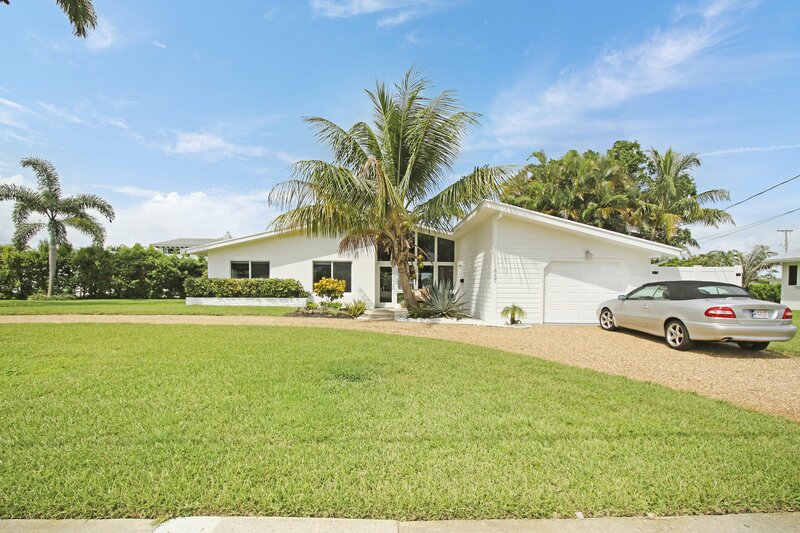 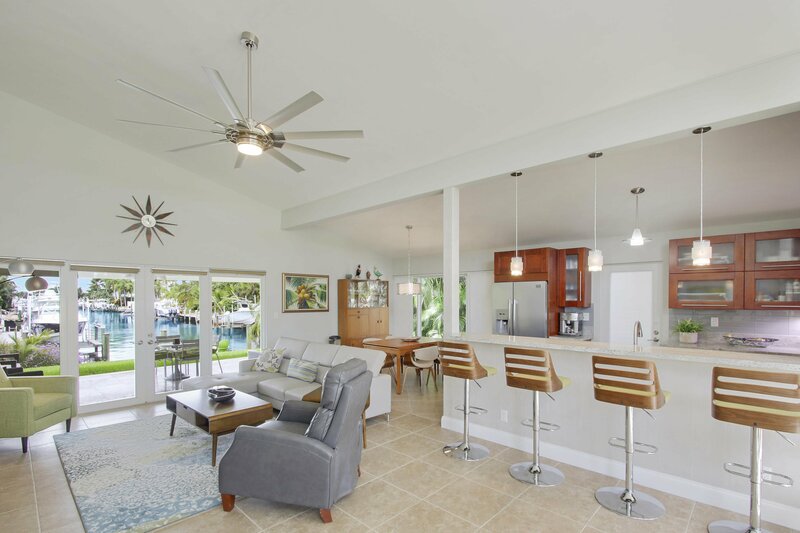 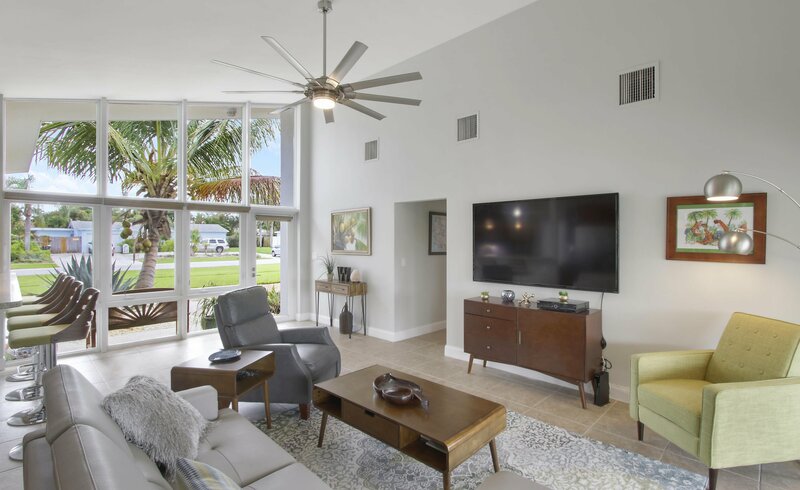 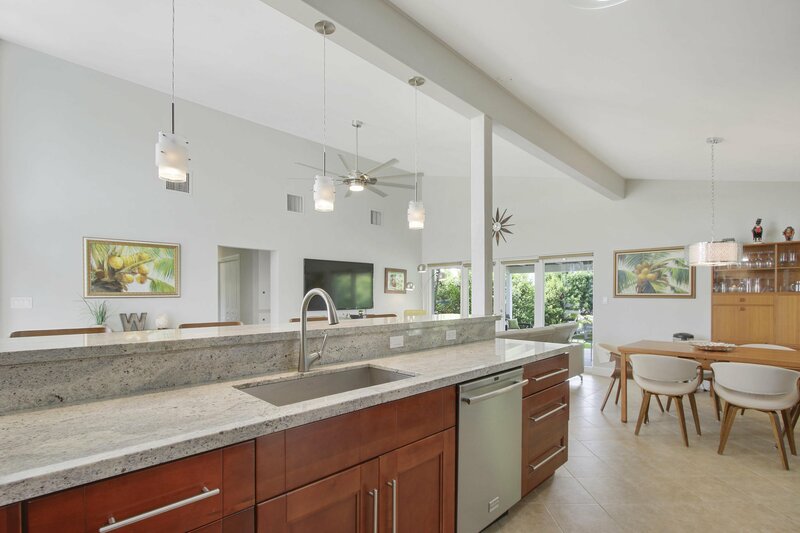 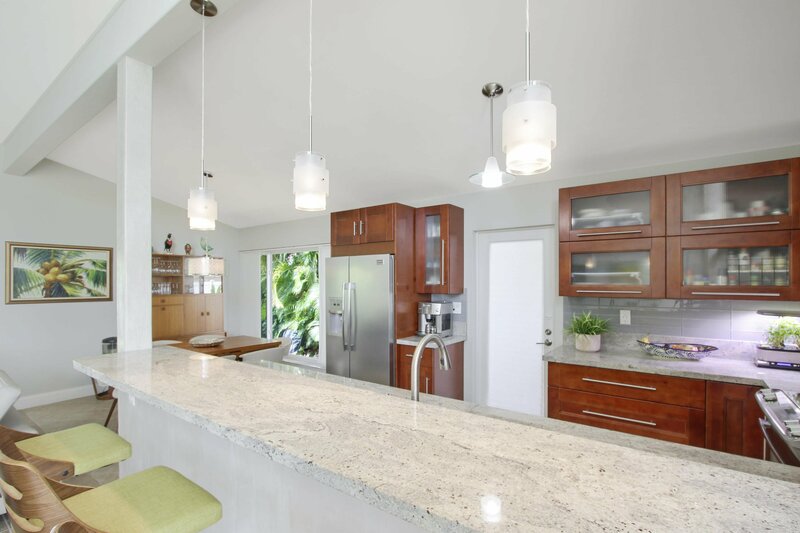 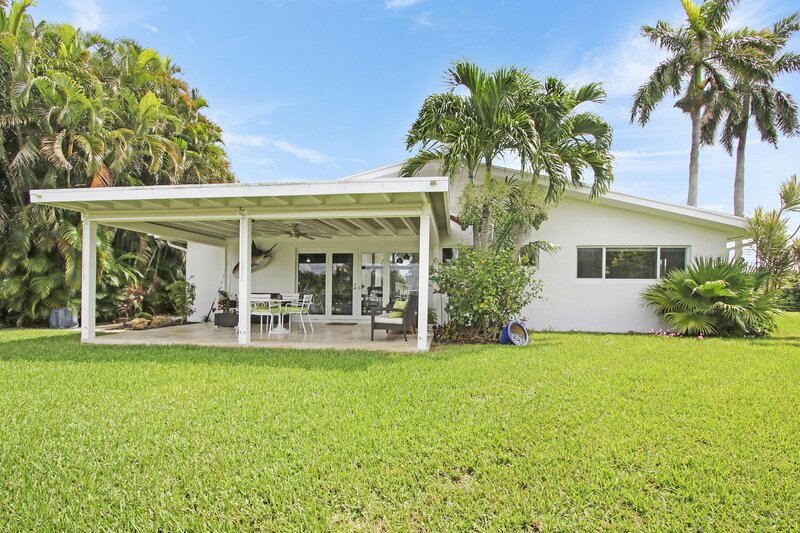 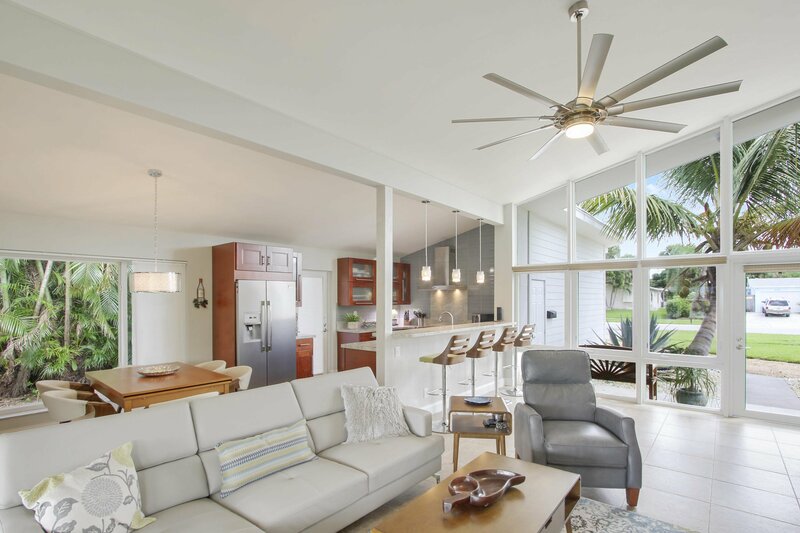 Beautiful midcentury modern waterfront home in North Palm Beach! 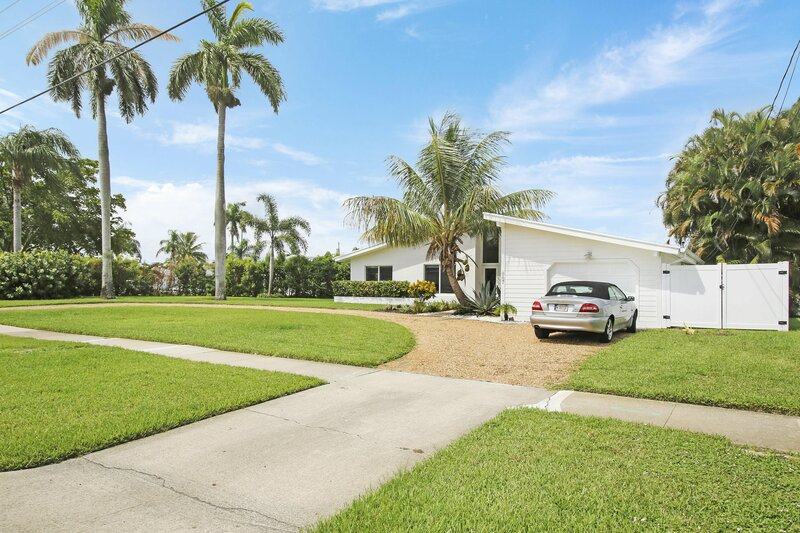 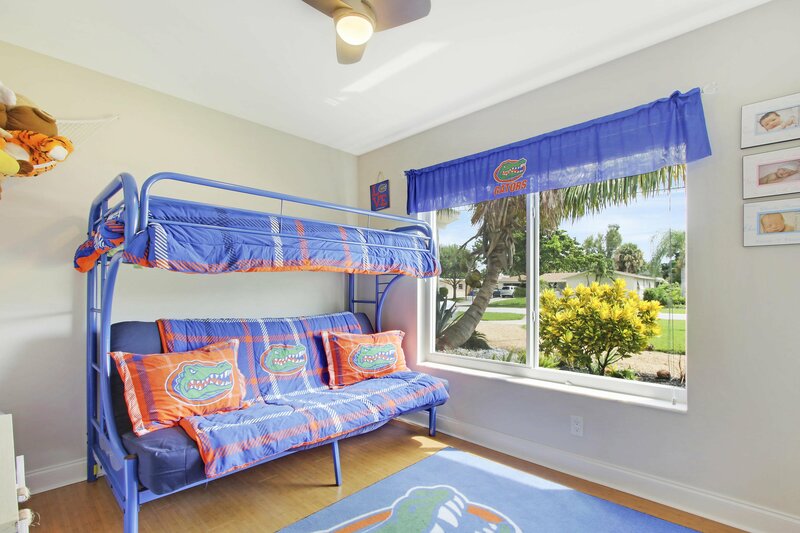 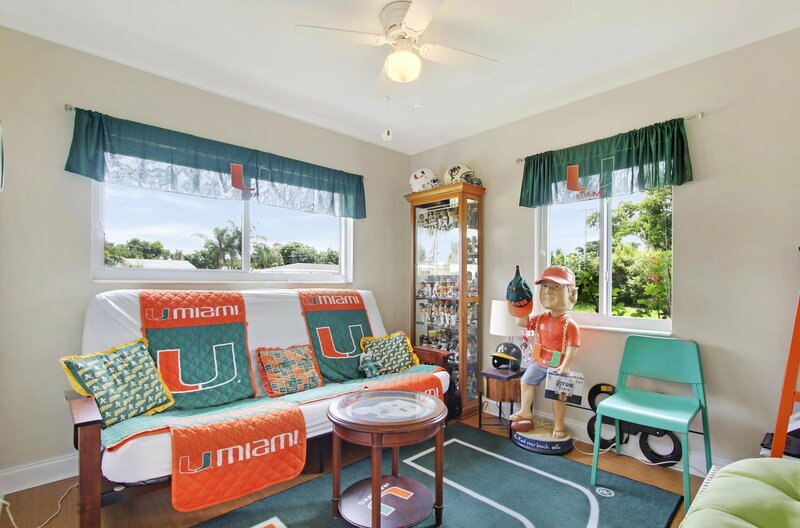 This home is nestled in the Village of North Palm just walking distance to the park! 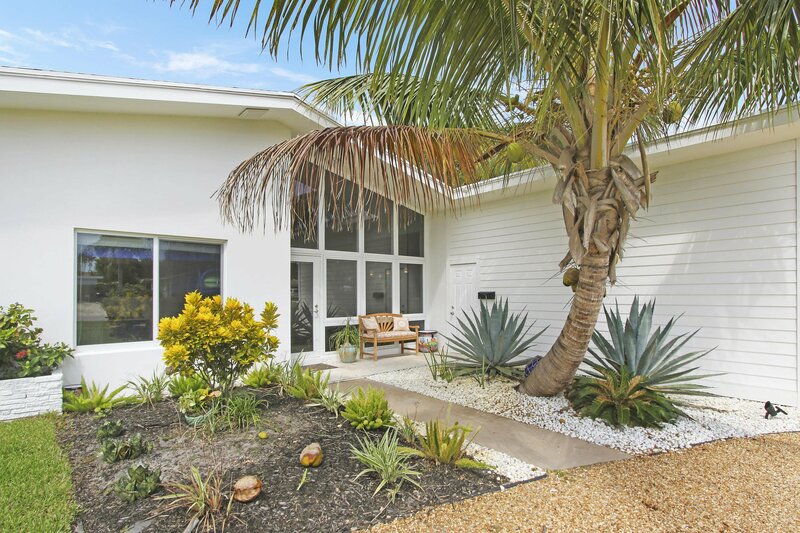 The house is all concrete construction with all hurricane impact glass windows! 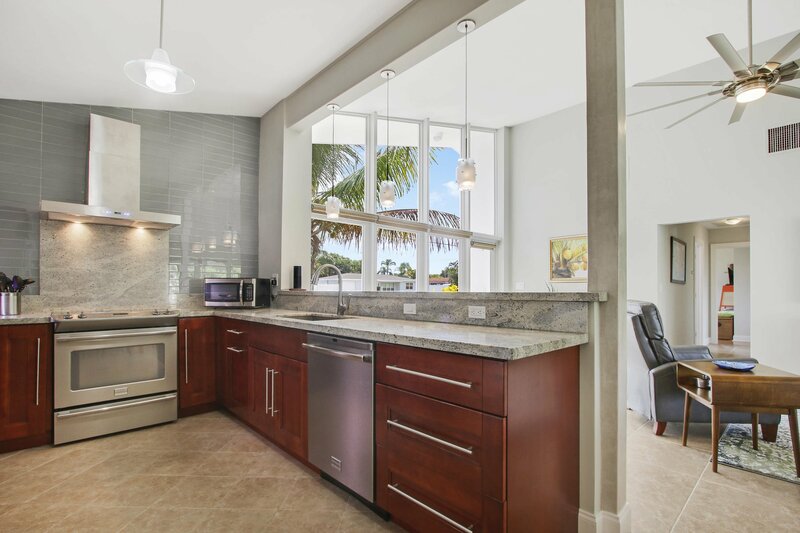 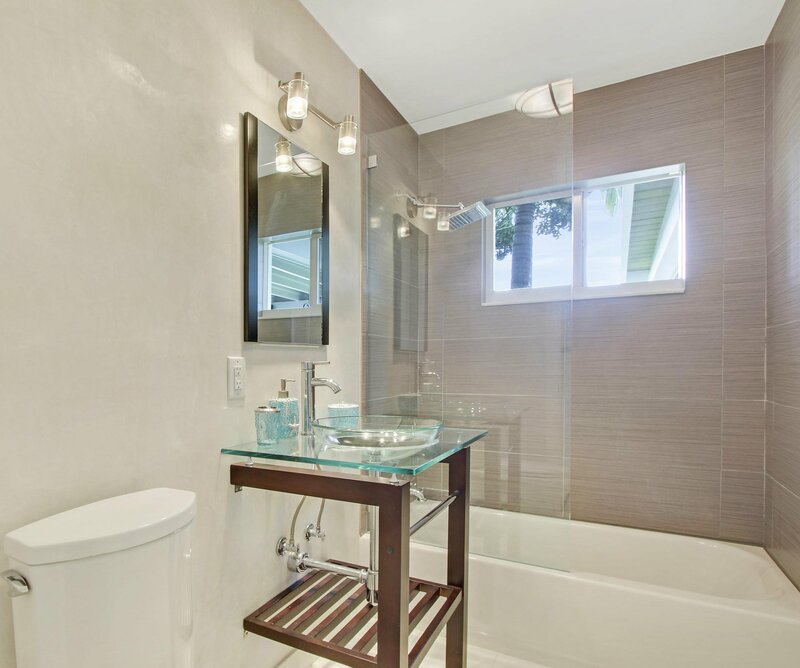 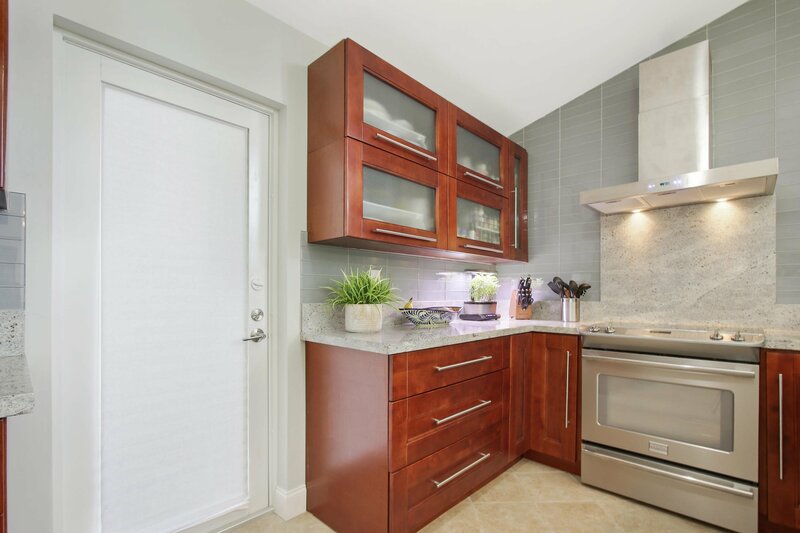 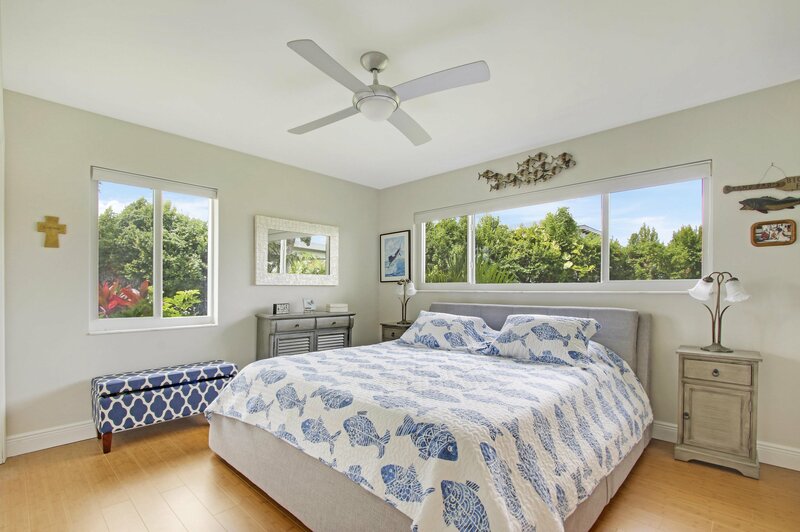 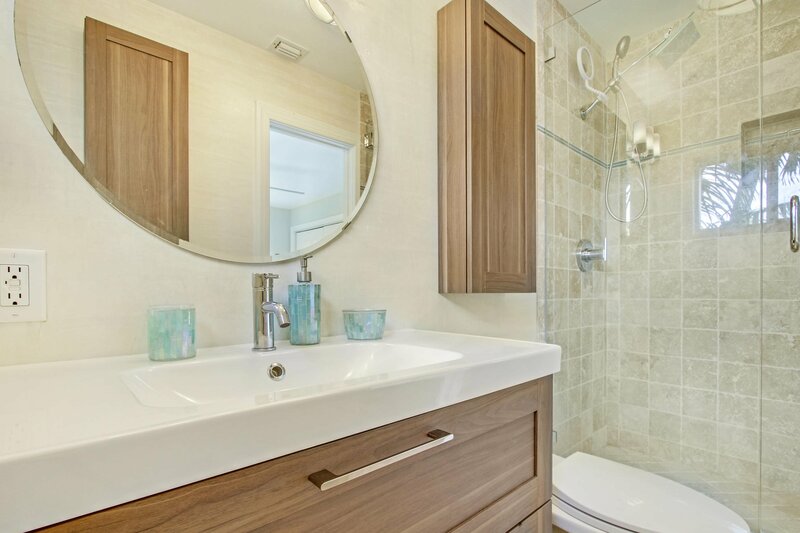 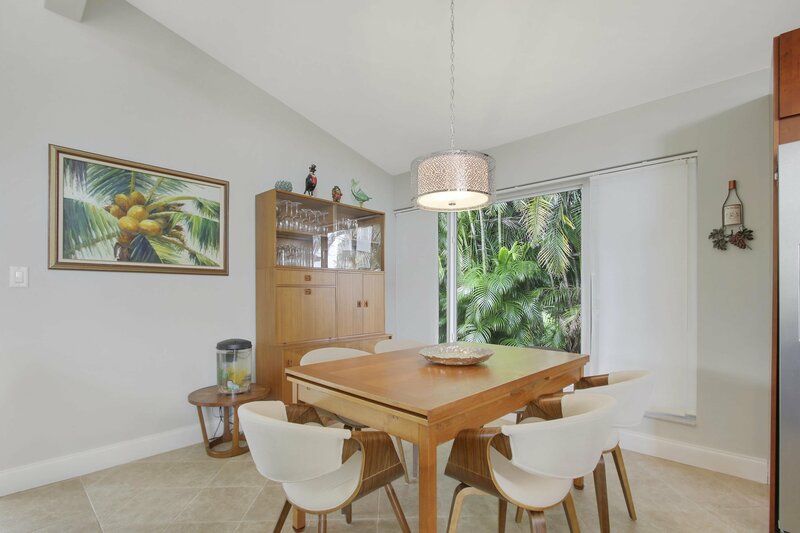 Fully renovated kitchen, bathrooms, and floors throughout. 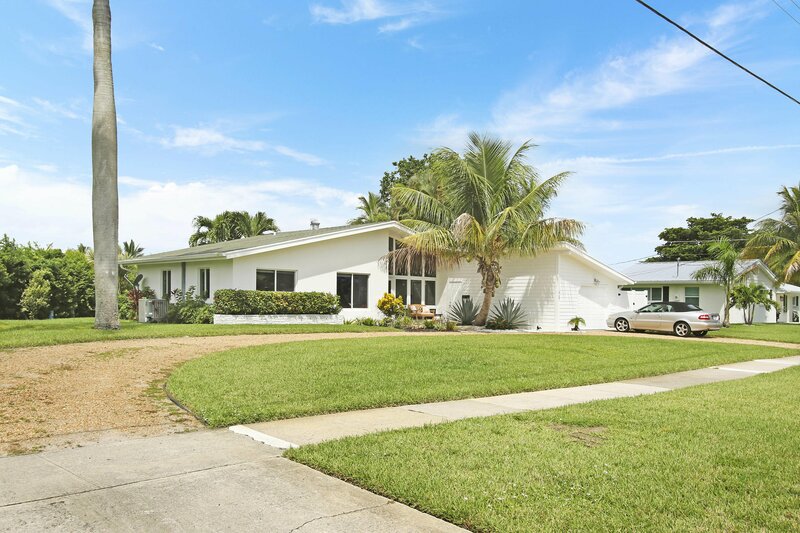 Oversized corner lot give you a large yard with room for a pool. 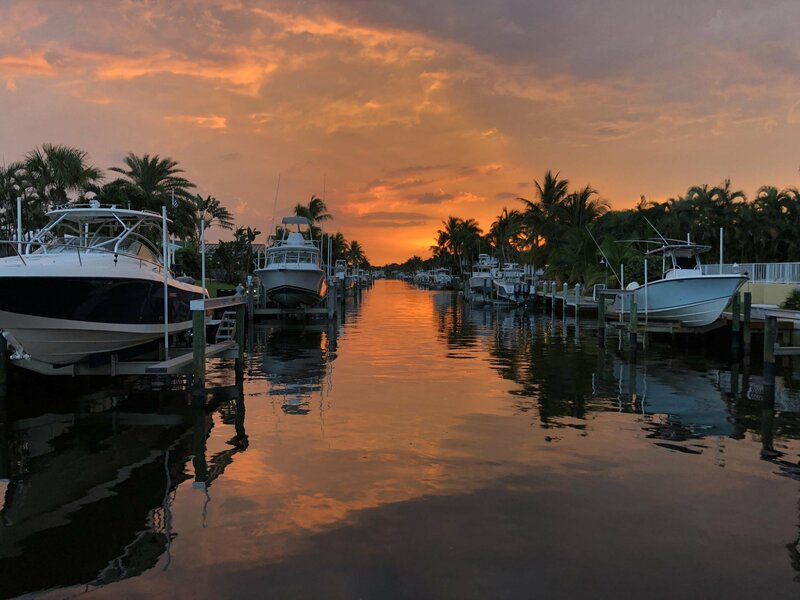 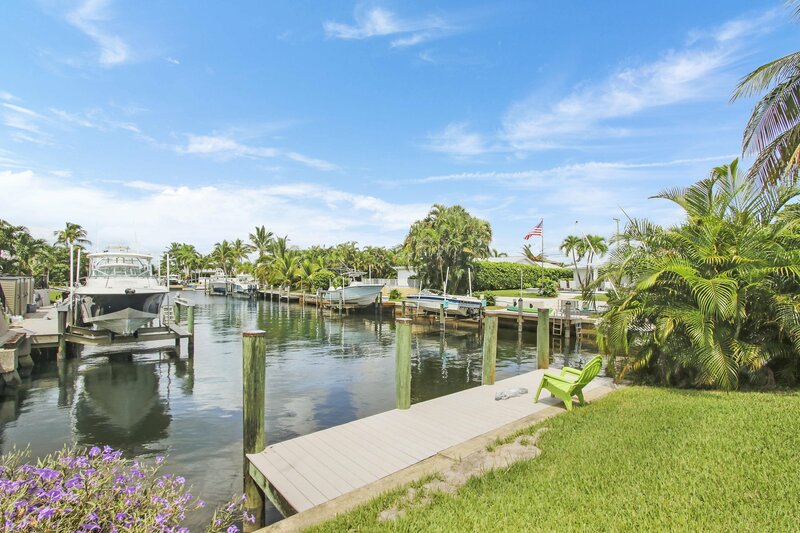 The dock is situated with an unobstructed view looking down the canal directly at the sunset! 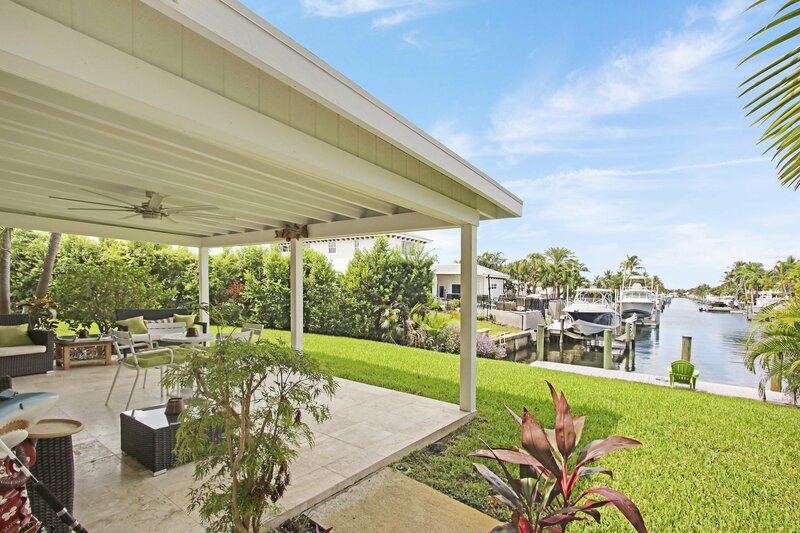 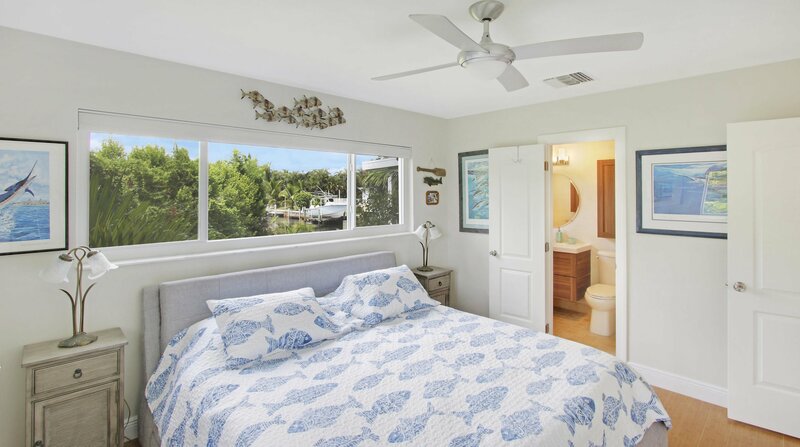 Come see the lowest price waterfront home in North Palm Today!